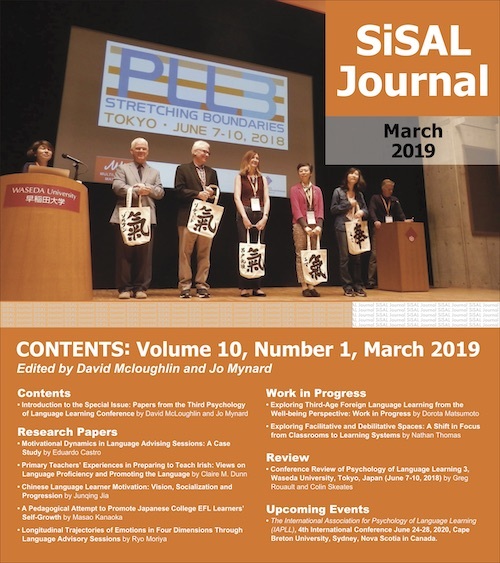 SiSAL Journal is planning to publish a special issue on dialogue and advising and self-access learning in March 2015 (Volume 6, Issue 1). In recent years the field of advising in language learning has received increasing attention as educators recognise that the best way to prepare our learners with the skills they need to be able to learn languages throughout their lives is to equip them with autonomous learning skills. Fostering learner autonomy can be approached within the classroom, but it is beneficial if learners can also get support in taking responsibility for their learning outside the classroom. Self-access centres are typically places where learners can find resources in order to develop the language skills that they need, but knowing where to start when taking responsibility for their learning can be challenging. Institutions investing in self-access extend such investments to providing specialist learning advisors to support learners as they direct their own learning outside of class. In order to ensure that learners are being provided with appropriate support, it is important that we research our practices and learn more about how to best support our learners.